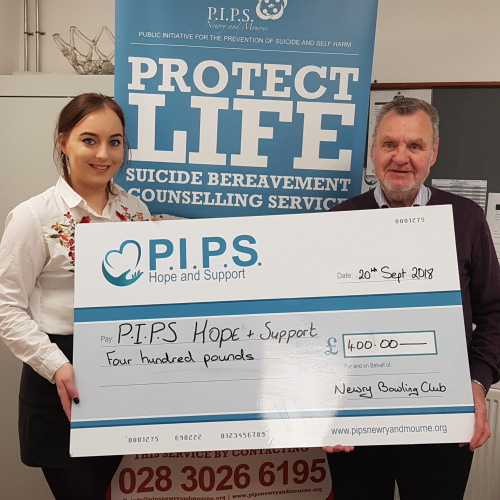 PIPS Hope & Support would like to thank Newry Bowling Club for their very kind donation of £400.00. They raised the funds on President Day on September 8th 2018. Thank you too Seamus McGuigan President, Betty McEvoy Ladies President and all Newry Bowling Club members and visitors for their donations.